This beautiful old window is still in its original frame. It was removed from a house in Leedsduring refurbishment. 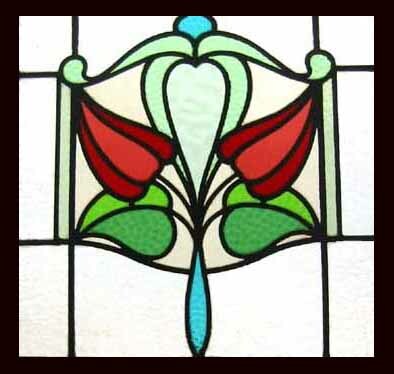 This is a window of outstanding beauty still in its original frame This coloured glass is of a heavy and deep texture. The frame and the leads are in sound condition. The frame measures 22W" x22 1/2H" (56cm x 57cm). The glass measures 18" x 17 " (46cm x43 cm).